Finding a good place to anchor in an inlet, surrounded by trees, clean waters and silence – one of the best feelings in the world, isn’t it? 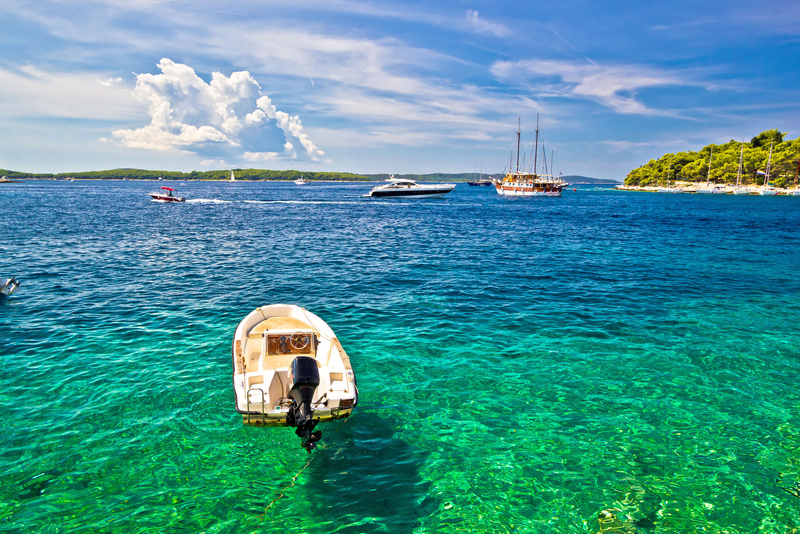 The Adriatic Sea and Croatian coast can provide you with more than enough of that feeling. 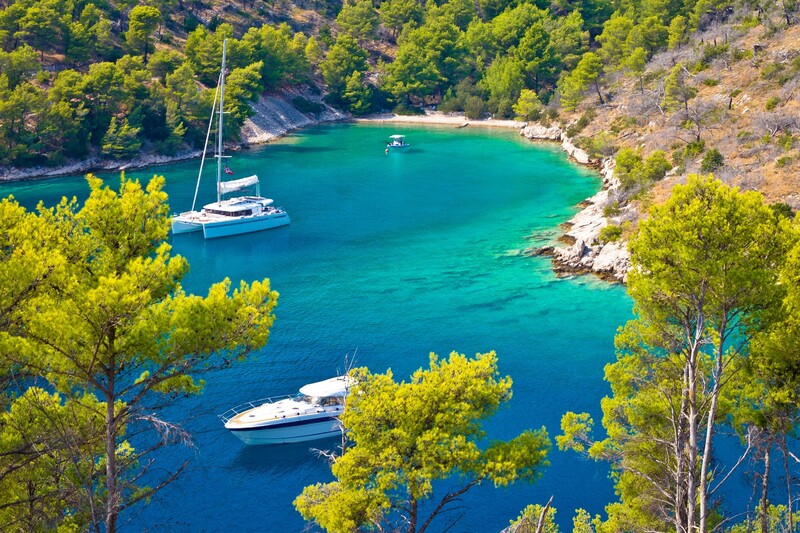 Croatian coastline has always been a busy nautical route, but hidden jewels can be found almost behind every corner. 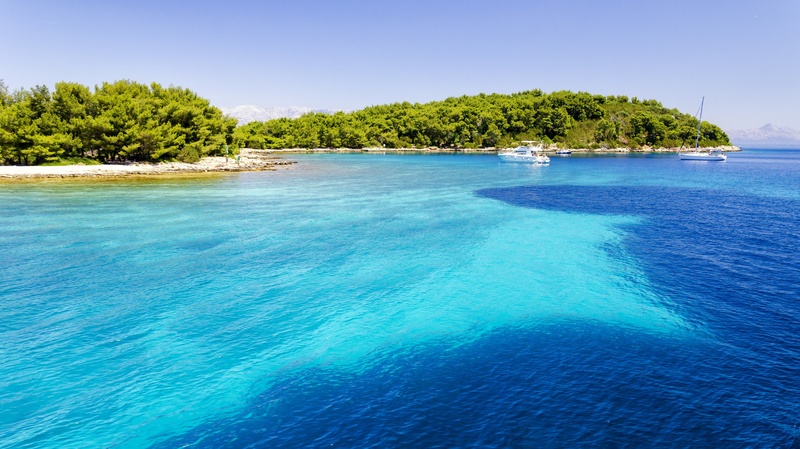 In this blog series, we’ll present to you some of the most beautiful and practical anchorages in Croatia while providing you some extra information for a better experience. By most people, Croatian coastline can be divided into 5 nautical regions and we’ll start with the Split aquatorium. Not without a reason, though – this part of the coast has been characterized as the most beautiful since the ancient times, while today it looks almost untouched, like a memory of an old, simpler and slower life. 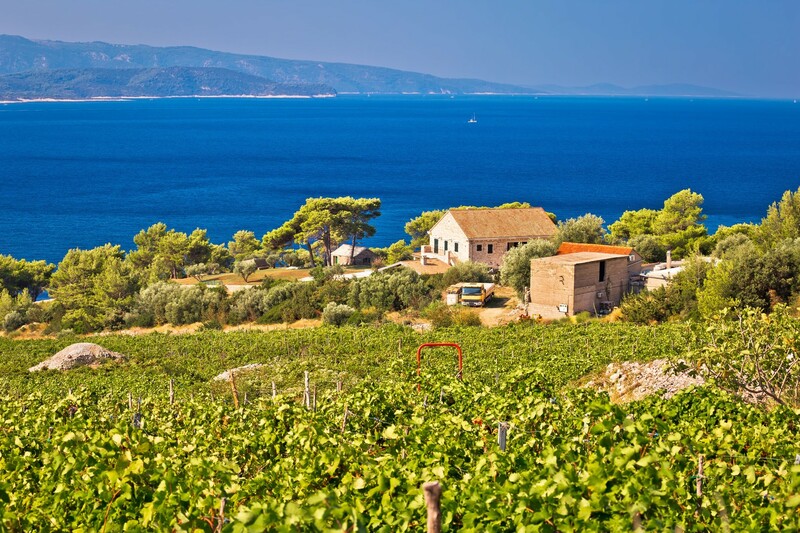 This region includes bigger and better-known islands like Brač, Hvar, Šolta and Vis, but also some small beauties. Let’s start a journey together, shall we? Right in front of Split, between two islets Krknjaš Mali and Veli, the amazing blue lagoon is a perfect place for swimming, scuba-diving and overnight staying. During the day, there are plenty of visitors from nearby cities, but the night is as peaceful as one might imagine. Best way to sail into the lagoon is from the south as the passages between the islands are shallow (2m), but once you’re in there, the anchor will hold quite well and you will be protected from most of the winds. There is also the restaurant Krknjaši with some pretty good local food. 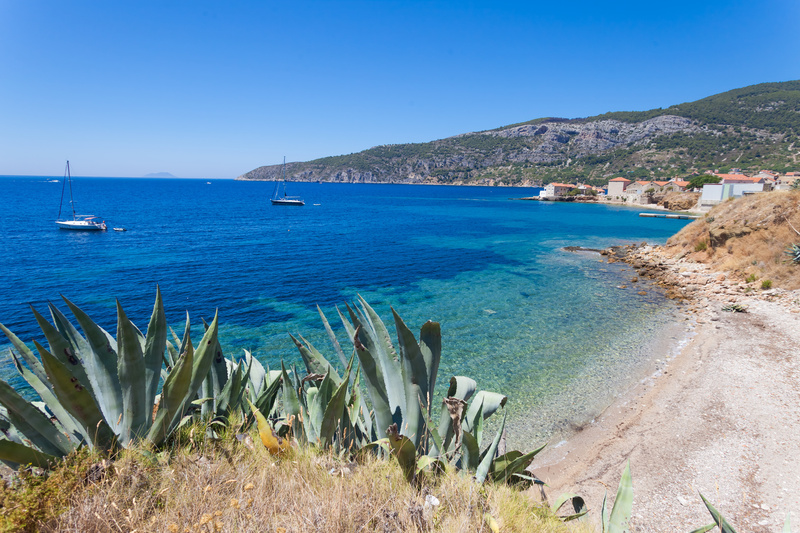 Even though the northern side of Brač is known for the strong wind bura, you will have a good cover in Luka. 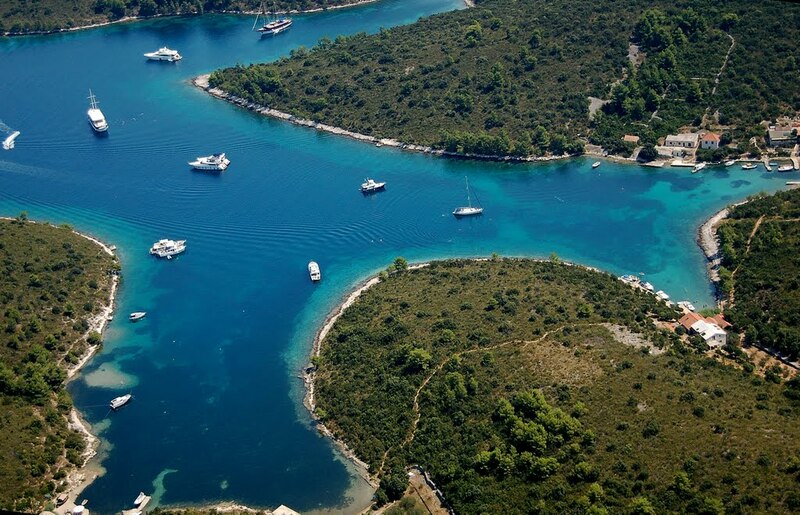 This tame and spacious bay has 3 arms; southern one called Slatina is the best to anchor with the depth of 6-7 meters. Bigger yachts can anchor as well in depths of 15 m. There are 2 restaurants, both with Mediterranean charm and excellent fresh fish. The buoys are under concession, so take that into consideration. And enjoy! 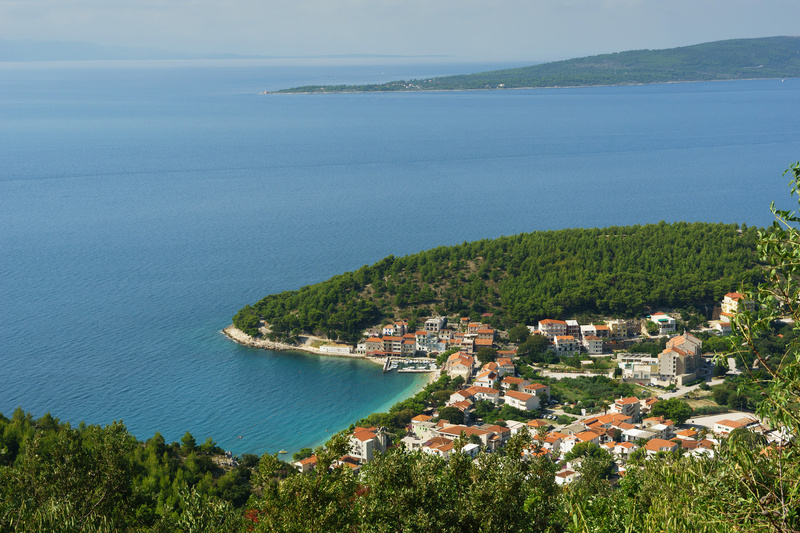 We were quite astonished by the beauty of Taršće, a lesser known inlet on the island of Sv. Klement. There are no surrounding houses, the nature is intact and there is a small beach in the north of the bay. It will keep you safe from all winds and anchoring is possible for both small and big boats. Tying the stern at the end is also a good option. When you get hungry from swimming, you can visit the restaurant Meneghello in Palmižana which is close by. A group of several small islands called Pakleni otoci will provide you a safe harbor and a true summer experience in Croatia. 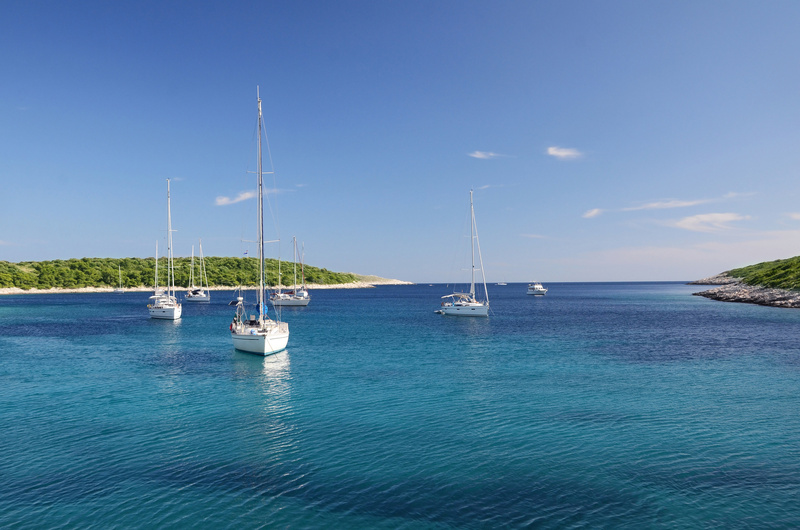 Between two islands is a passage called Ždrilica, one of the most popular sailing destinations in Adriatic. Because of that, it is a quite busy place, but still, it is worth visiting. You might avoid Ždrilica during bura or nevera, and definity make sure to avoid sailing in from the NW, between Planikovac and Borovac, due to very shallow waters. Beside the crystal clear sea and chilling nature, you should definitely enjoy great local food in restaurants Antonio, Patak or Tri grede. Among many popular harbors and inlets on the island of Hvar, this one is particularly interesting. It’s not even well-known, which definitely contributes to its attractiveness. With no houses or many visitors, Borca is a place for the ultimate zen, especially during the night. 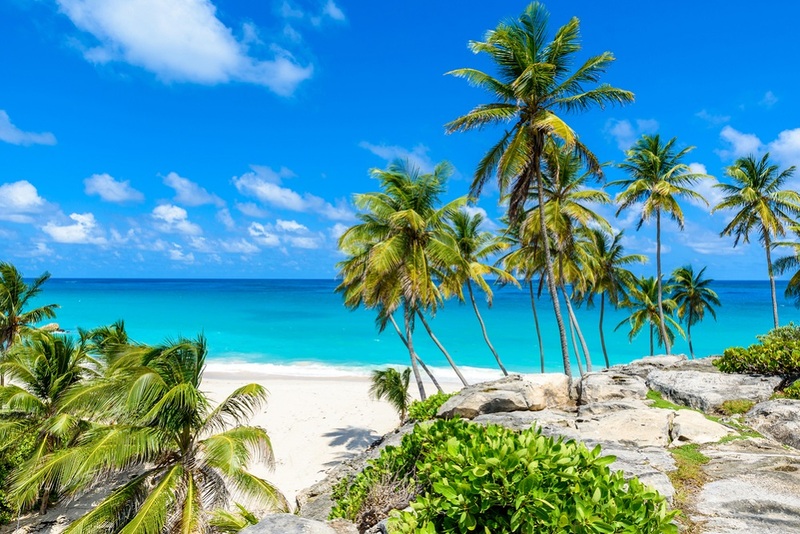 Sea is just calling you for a swim with its perfect blue color. The bottom of the inlet is sandy, really good for anchoring and you will be safe from the winds. It has recently been under the concession, so you’ll probably have to pay for a buoy, if you want one. Small island, even smaller bay and what a place to be! It’s peaceful, there are only several summer inhabitants, but many sailors and boats coming for an overnight stay. It’s good for anchoring or tying to a buoy, the bottom is sandy and you’ll be completely safe from all the winds. The bay has 4 arms, all four being available for anchoring and each has its own little restaurant with local food. 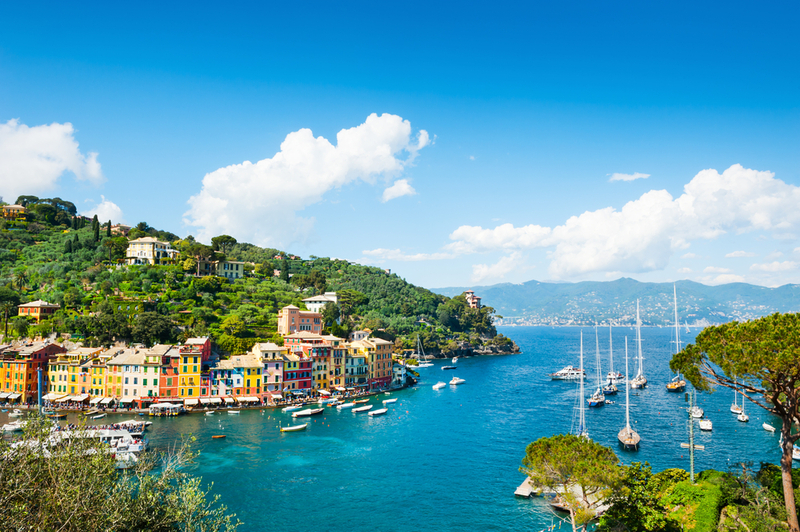 A place to swim, relax, eat and even take a walk around the island. Perfect, right? There are 4 nice anchoring places on the northeastern part of the island Vis, but we had to choose one and it is a bay called Luka Rogačić. It has two ends – Parja, which is mostly intact and you can anchor at the depths from 4 to 10 meters, or a second one – Rogačić, which has houses and it’s a bit more crowded, but it’s still quite solitary comparing to bigger ports or bays on Vis. Anchoring in Rogačić is at the depth of up to 6 meters. While there, we recommend you take a walk around the island and visit the nearby 19th century Fort George. This is one of the most beautiful lagoons in the Adriatic. A sandy beach, clear sea, peaceful night and a handful of happy swimmers during the day will win you over. The lagoon is only 3 meters deep and the entrance is even less, so it’s easier to anchor from the outside. You can also visit the Green Cave which is less than 1 NM away or the famous Blue Cave on the island of Biševo which is about 10 NM away. Definitely worth a visit!